Welcome to Hike it Baby and we appreciate you signing up for an annual membership with our organization. This sign up is for families who were given a membership by an ambassador or scholarshiped in. If you were gifted a membership please click here so you get the free digital subscription to Backpacker magazine that comes with paid levels. We have 3 levels of membership (2 annual and a lifetime membership), which allow you to decide how much you would like to contribute to our organization. Base Membership is a one year membership for you and your family. You can use one login for your family to participate. Trail Buddy Membership is a one year membership where your contribution goes to 3 scholarships and your year is free. You also get a special Trail Buddy sticker. Founding Members get a lifetime membership, 3 scholarships given away, one free membership code (good for one year) for you to give to a friend or family member. 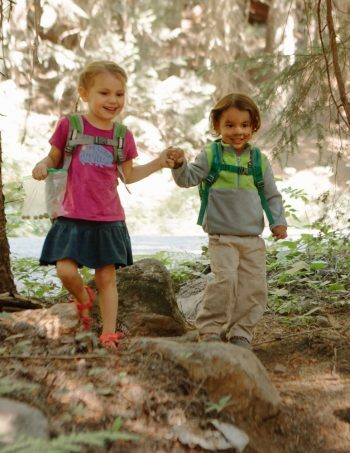 Also you will get your family name on the website on a Thank You Page, a Hike it Baby patch and a Trail Buddy sticker. Also a one time code for 25% on Hike it Baby merchandise (shirts, hats, sweatshirts) and put on a newsletter list with early information on sales. Participants outside of the U.S. are not required to purchase a membership for access. We welcome you to purchase a membership to support our mission of getting families into nature! What does the membership go to? Your membership helps Hike it Baby with long term growth and sustainability. 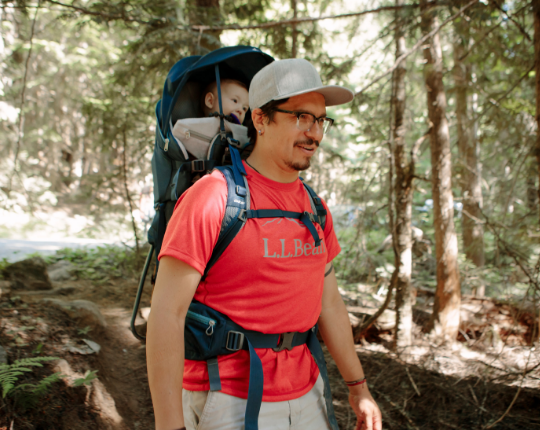 As a platform to gather and grow communities, Hike it Baby offers new parents an opportunity to connect and get into nature with their young children. Sure, anybody can go hiking, but as a new parent, how many times have you struggled to find new friends who understand what you are going through and who will support you in a judgement free community that will never leave you behind? Maintain the website and calendar nationally so you can hike anywhere you want! Employment opportunities for the administrative staff of Hike it Baby. Support branch initiatives at a local level. Pursue long term strategic goals for organization. Expand our community online and offline so we can offer more workshops and opportunities for families to connect. Develop programs to work with diverse communities, government and other agencies. Build out online tools such as year-round hike log, a buy/sell forum for gear nationwide, a place to research Hike it Baby friendly hikes. We offer organized information that facilitates your family’s journey into nature and helps you find your community. 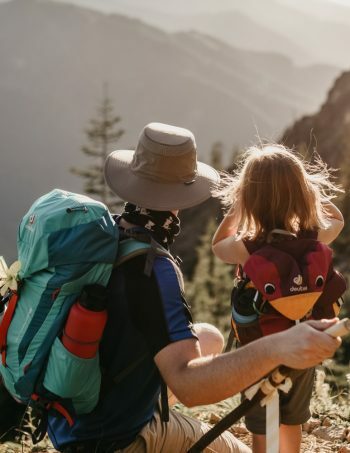 Members get access to the calendar of hikes, an opportunity to participate in virtual challenges to motivate your family to get outside, the ability to utilize special discounts from brands we partner with, and connection with families across North America. Most importantly, members support Hike it Baby as we work to advocate for getting families into nature starting from birth. Together we are raising a generation to love the outdoors. You can choose to sign up for one year or for a lifetime as a Lifetime Member. It’s up to you.